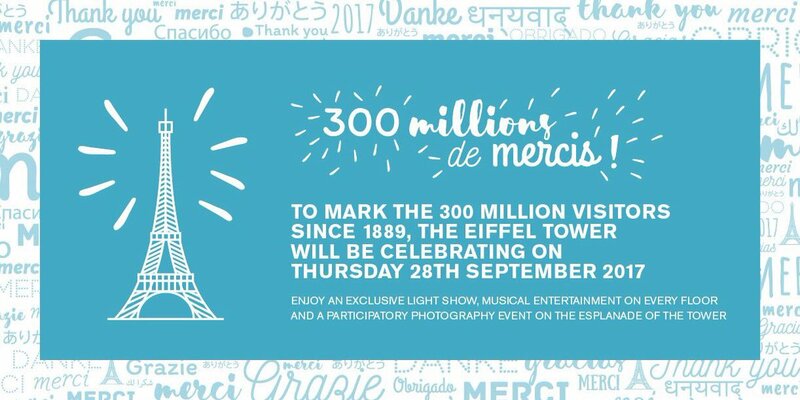 This weekend its the Eiffel Tower’s 130th anniversary! 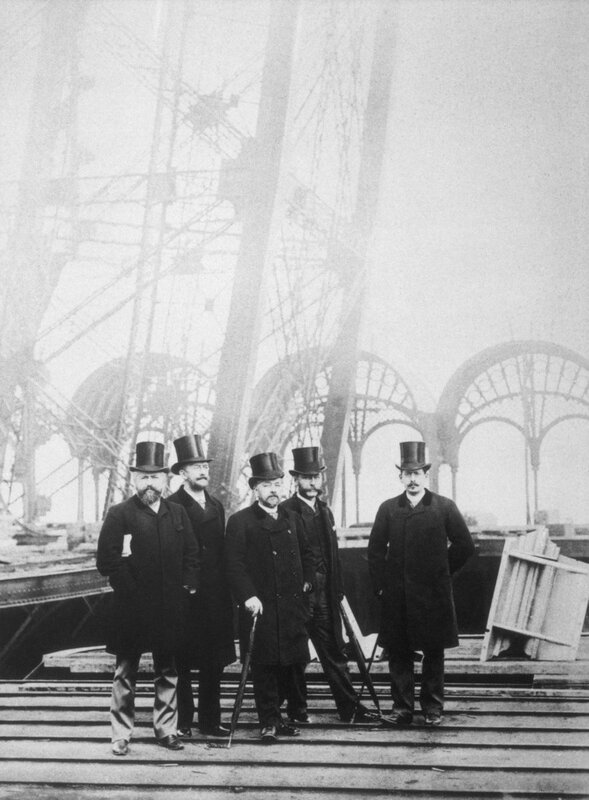 On that day in history (Sunday 31st) 130 years ago the Eiffel Tower was opened for the first time with Eiffel himself leading politicians and Government officials to the top, a walk taking over an hour. 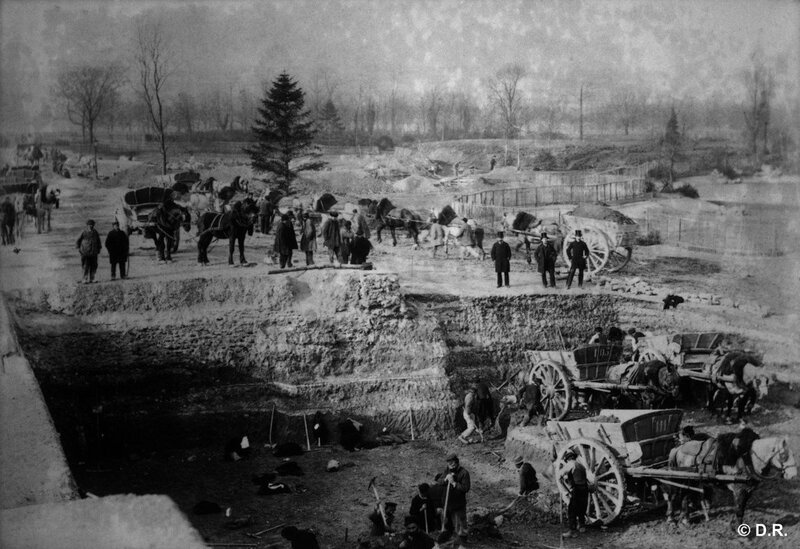 The occasion marked the completion of the main structure. 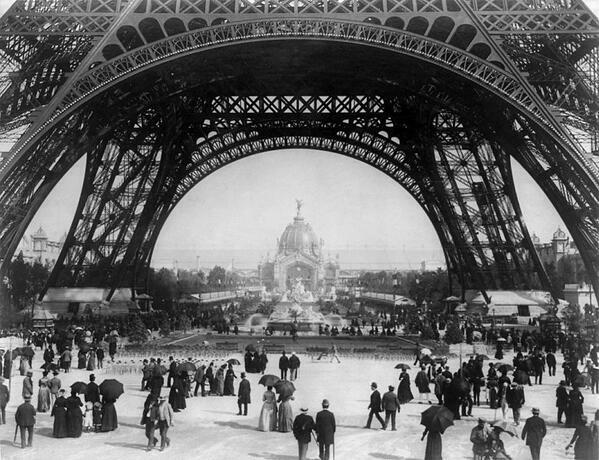 The winning entry in a competition to build a 300 metre tall tower, La Tour Eiffel was built for the 1889 Exposition to celebrate the French revolution – and it was a time for festival and joyful celebration in Paris. The structure itself was built in a record two years, something almost unparalleled since. The official opening itself took place on 6th May 1889 but there were no lifts in operation for the first few weeks and over 30,000 visitors had to climb the many hundreds of stairs instead! Most made it to the top despite the great height at which the structure had been built. 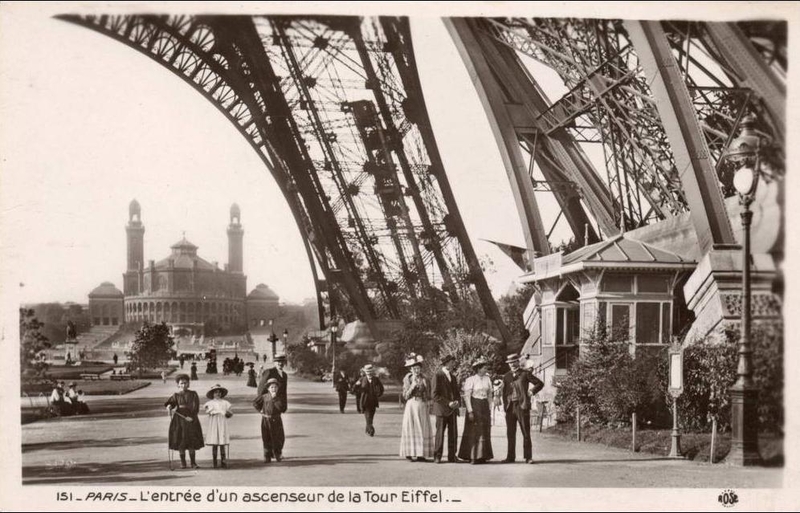 The tower is of course named after Alexander Gustave Eiffel. 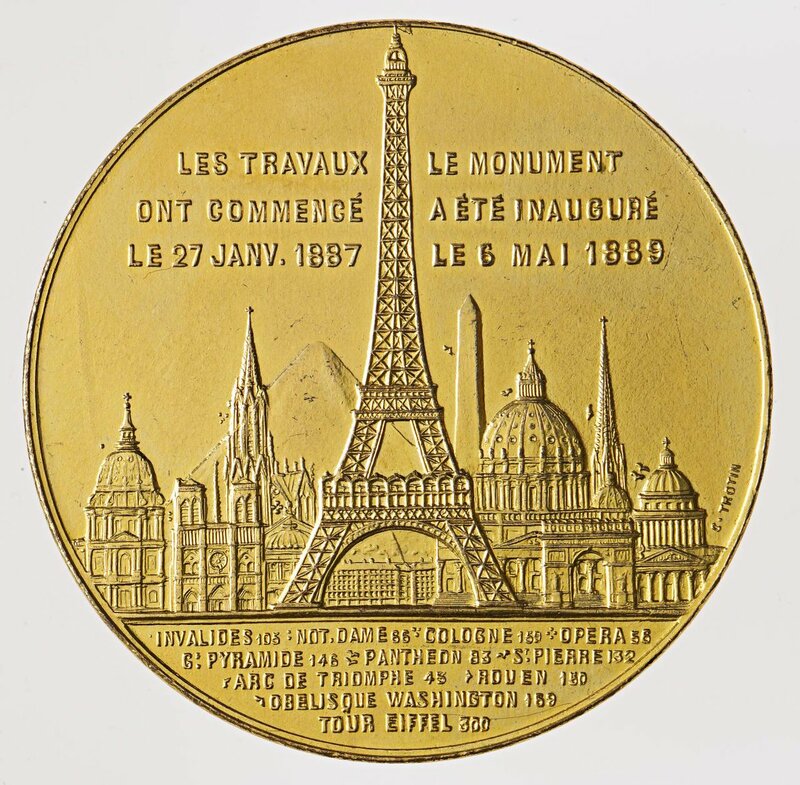 It was he who won the competition for a 300 metre tower to be built for the Exposition Universelle in Paris, and it was through his determination that the tower be built. It was an enormous undertaking and of course nobody had attempted such a structure on this scale before. 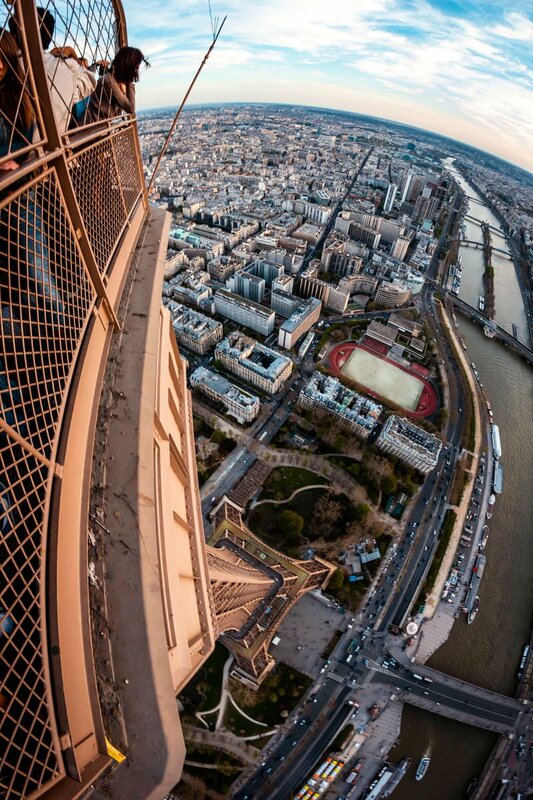 Eiffel showed that heights could be conquered by way of the ingenious use of iron (and later steel.) 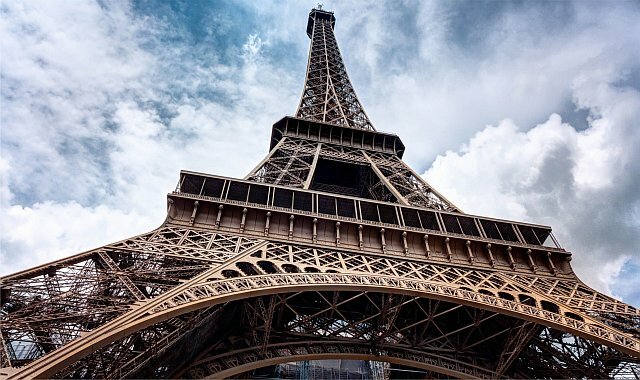 Iron framed buildings were nothing new at the time of the Eiffel Tower however the construction of the tower largely paved the way forward for the many skyscrapers of the 20th Century. 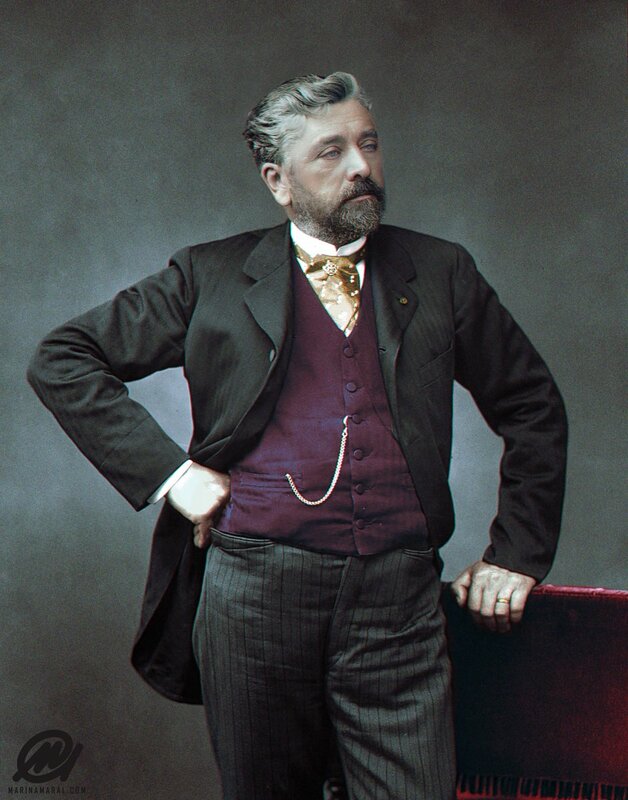 A lot of people just associate Alexander Gustave Eiffel with the tower itself, however he was a very reputable engineer who built many other structures around the world including bridges and railway stations. His other notable achievements include the Statue of Liberty’s steelwork and the Panama Canal’s locks. 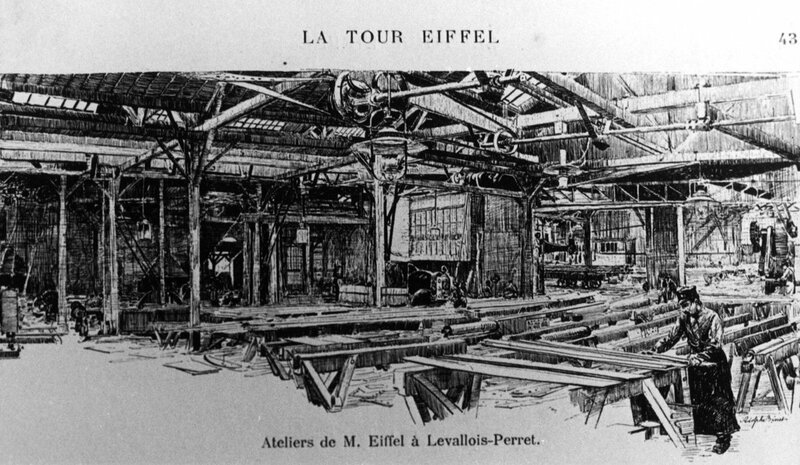 Although Eiffel is often described as an engineer which he was, he was perhaps more of an entrepreneur and it was others who devised and created the plans for Eiffel’s projects. He had the knowledge, the money, the architects, the factories and the workmen needed to build the many projects in his name. 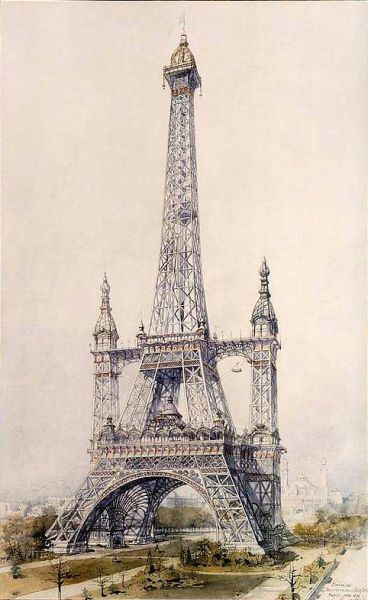 The following item written in the Times of India in June 1889, gives credence to Eiffel for the idea but also reveals what many do not really know – the tower wasn’t an original idea nor was it really Eiffel’s to begin with – and not only that Gustave wasn’t interested in the project either to begin with…. 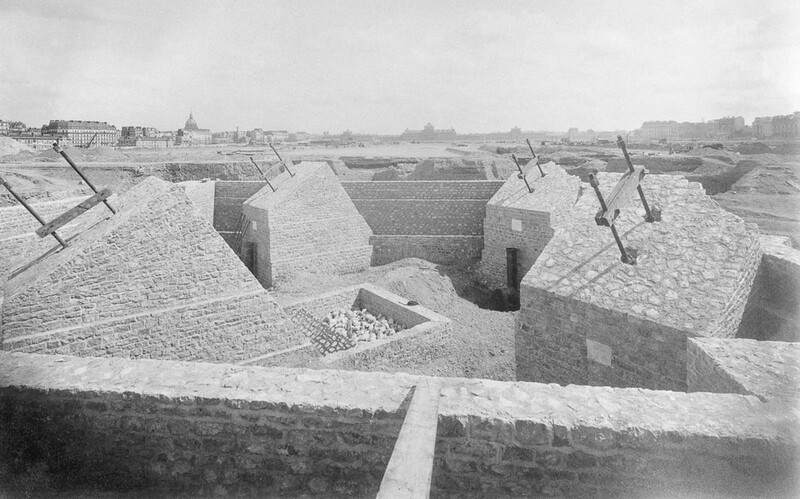 Much has been said about the origin of the modern Tower of Babel in the Champ-de-Mars, and the idea of its construction has been claimed for several persons. It will go down to prosperity, however, as Eiffel’s Tower, just as America was called after Amerigo-Vespucci instead of Columbus. It is well-known that M. Eiffel – eminent engineer though he be-is no more originator of the Tower than the Man on the Moon, but he took up the idea, had it elaborated, used his influence to popularise it, and finally superintended the colossal work until the idea and the plan became the wonderful reality which people of all nations are flocking to see. Source: The Times of India 21 June 1998. 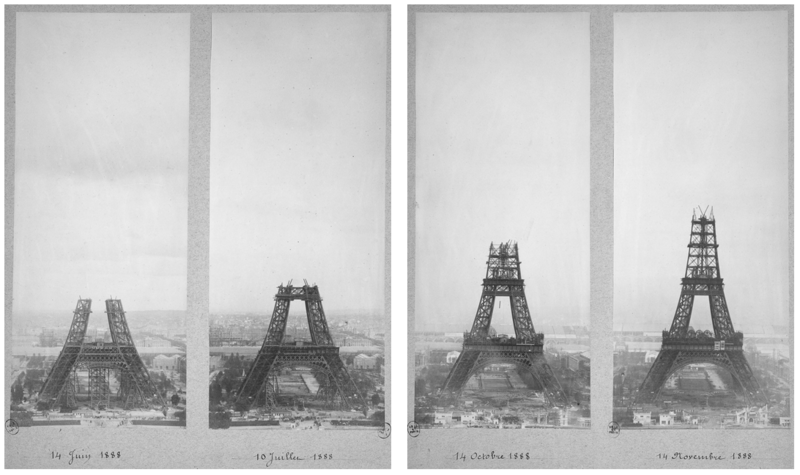 Clearly there were others besides Eiffel himself without whom the tower would have never been built. This is Édouard Lockroy, the Chief Commissioner of the 1889 World’s Fair and the guy who authorised the building of the Eiffel Tower. He had previously been France’s Minister of Commerce and Industry and his lifetime’s ambition was a devotion to Liberty and Equality. 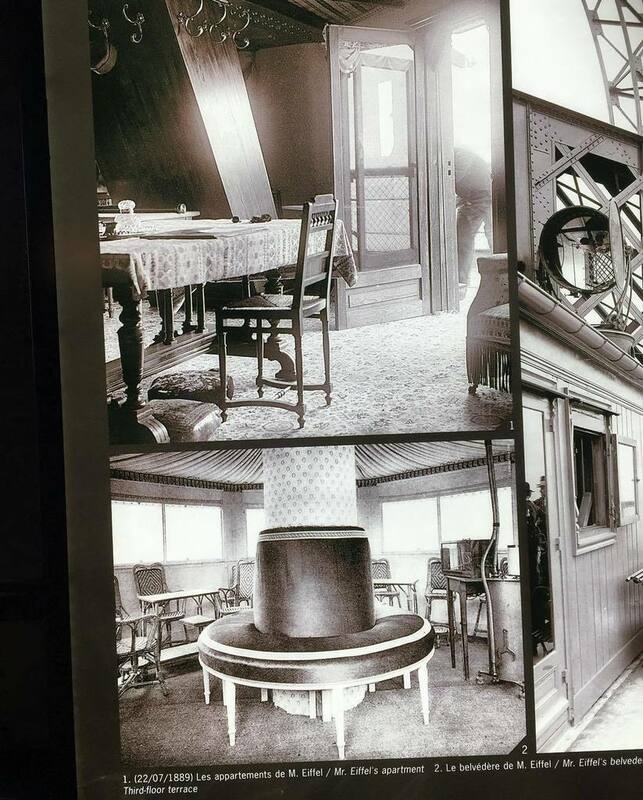 This is how the 1889 exhibition came to be seen as the anniversary of the French revolution, and in Lockroy’s view the tower was therefore a symbol of that momentous time. 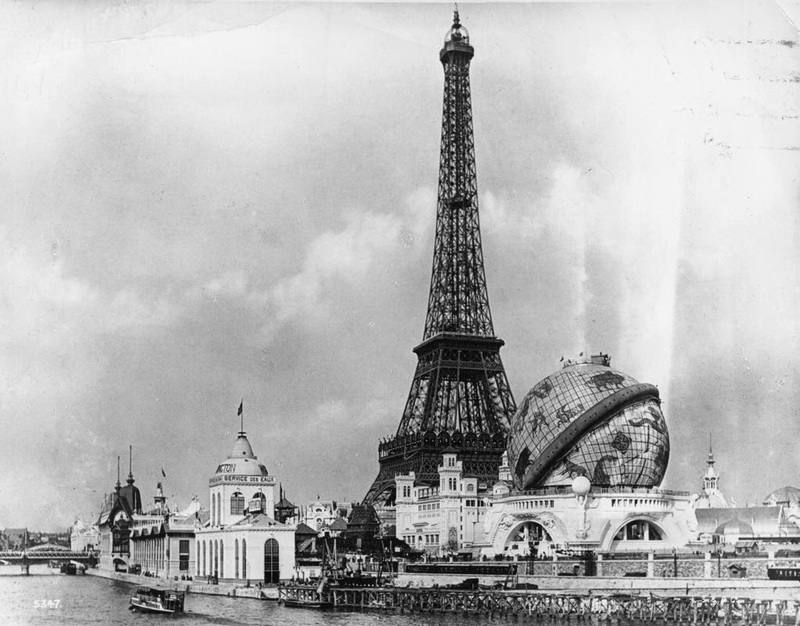 The tower would have been returned to the City of Paris in 1910 and the land disposed of, but as it was extremely popular and generated huge amounts of money the City’s fathers ultimately thought it quite unwise to pull it down. 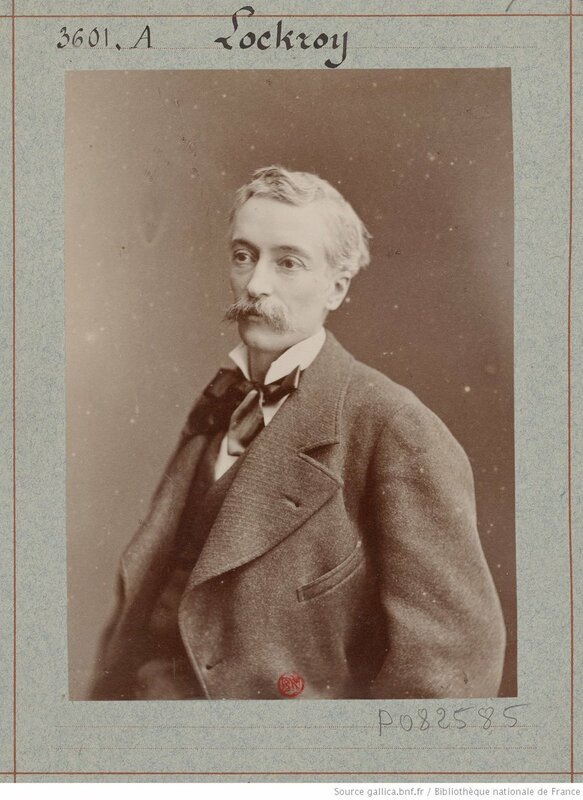 Another important person in the story of Eiffel’s tower was Charles Léon Stephen Sauvestre. 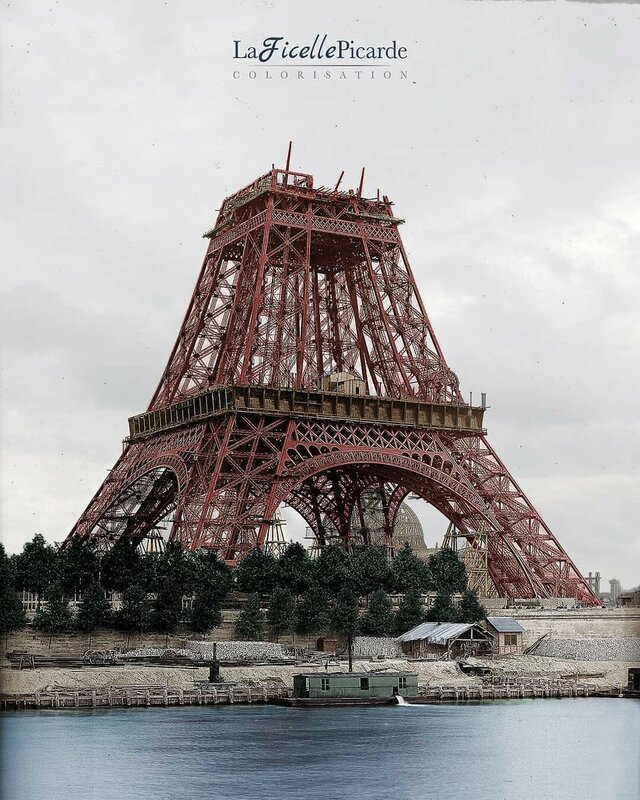 He was the architect responsible for the design of the tower however he was employed by Eiffel, thus Eiffel ultimately owned the designs for the new tower. 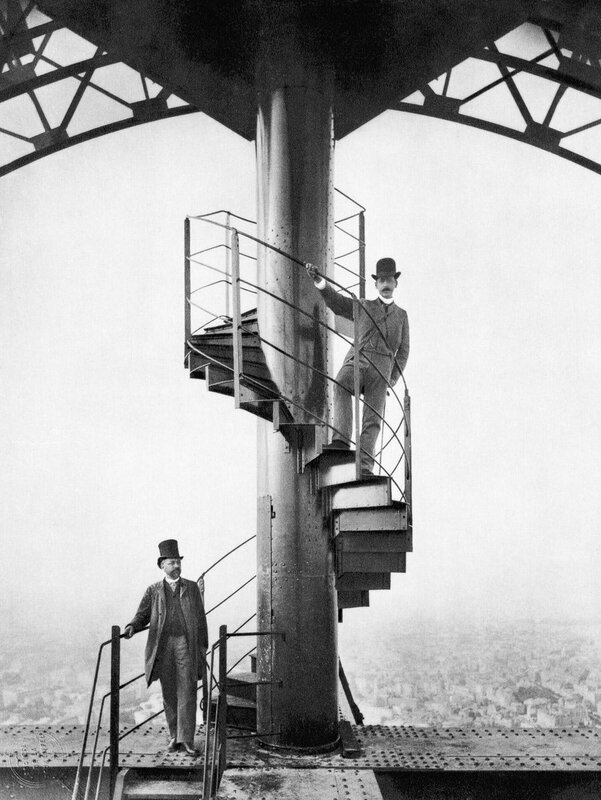 Sauvestre was supported by Maurice Koechlin and Émile Nouguier, who were two of Eiffel’s own architects/engineers. Their signature can be seen on some of the early plans for the tower. 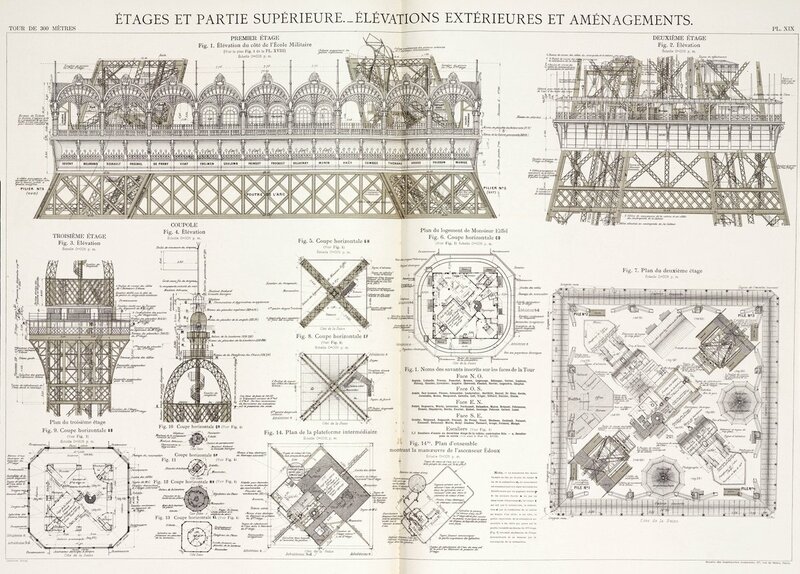 In November, 1880, M. Sébillot, a French electrical engineer, conceived the idea of lighting Paris by electricity from one focus placed on a tower 300 metres high, the structure to stand in the Louvre courtyard or in the Place du Carrousel. 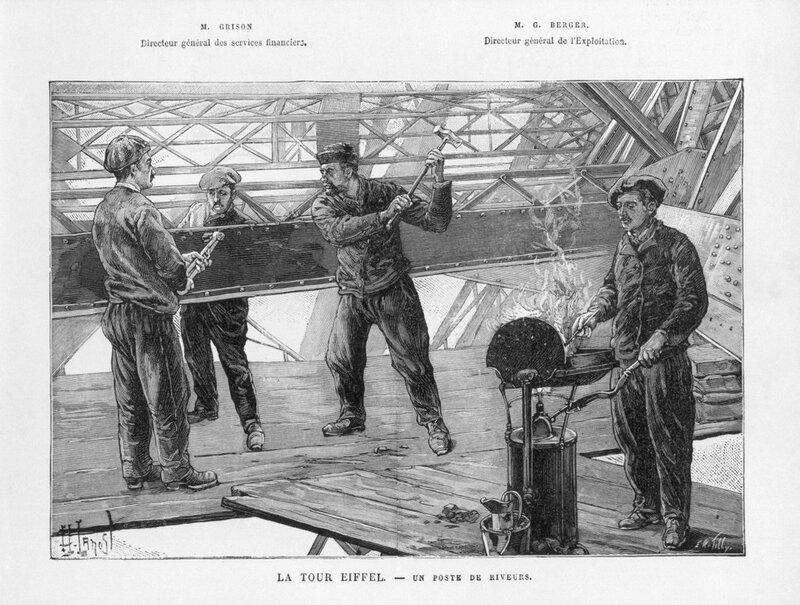 In his report M. Sébillot pointed out that… steel and iron would render the construction possible. 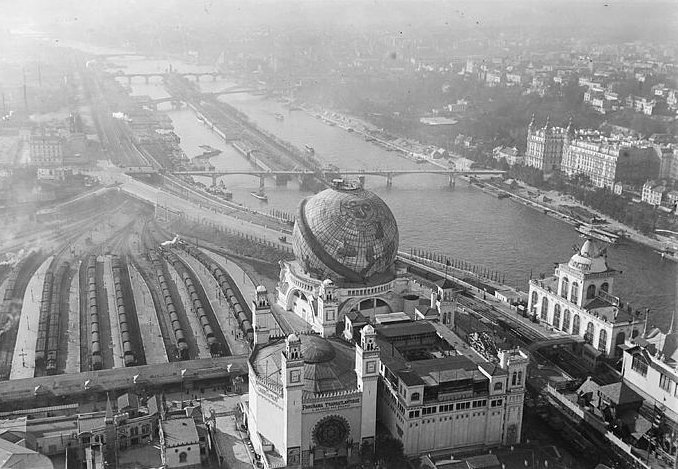 M. Sébillot took M. Bourdais – architect of the Trocadero – into his confidence, and they both worked at the plan of the proposed tower. 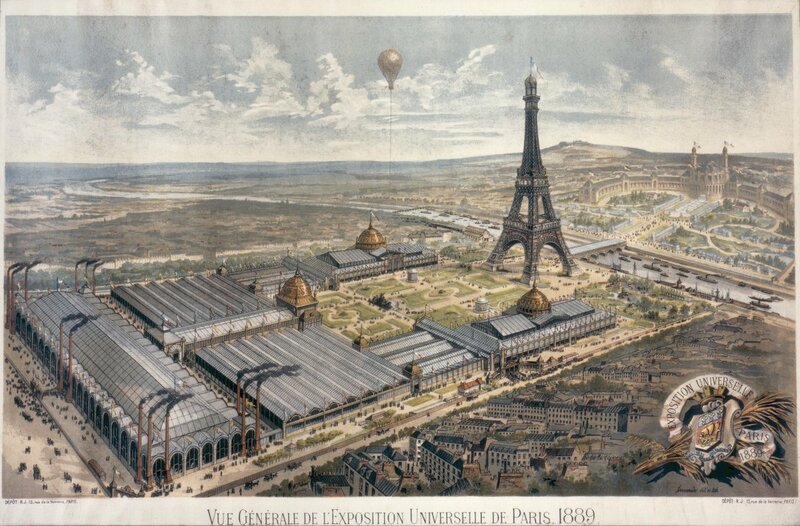 In 1883, however, another civil engineer, Mr Nouguier, studied the project minus the electric lighting propositions, and mooted it to Mr. Alexander Eiffel… M. Eiffel did not take kindly to the project at first, but on second thoughts he commissioned M. Nougier, M. Koechlin, and M. Sauvestre to draw up a definite plan, which he adopted and carried out with energy and determination, despite immense opposition and even ill-will. 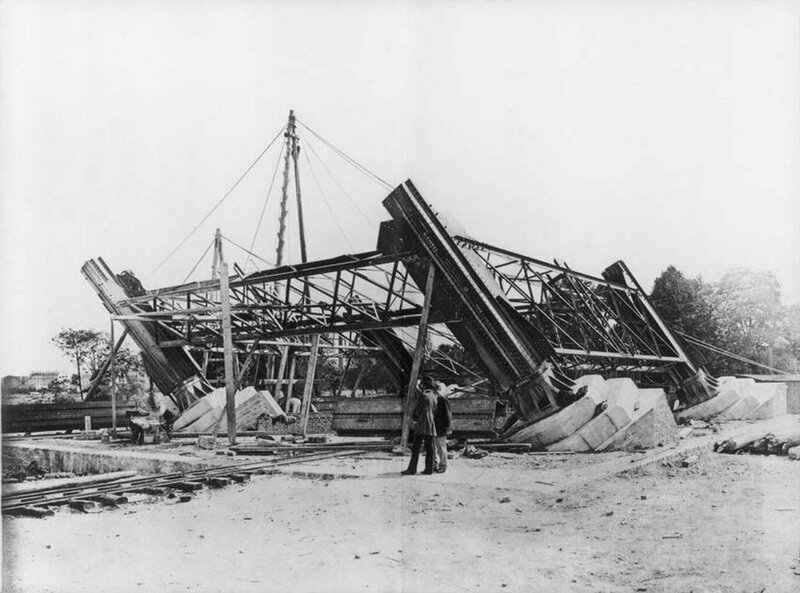 As can be seen, it was Nouguier who set the wheels in motion and Eiffel who, despite his early hesitancy, brought the entire project to fruition. 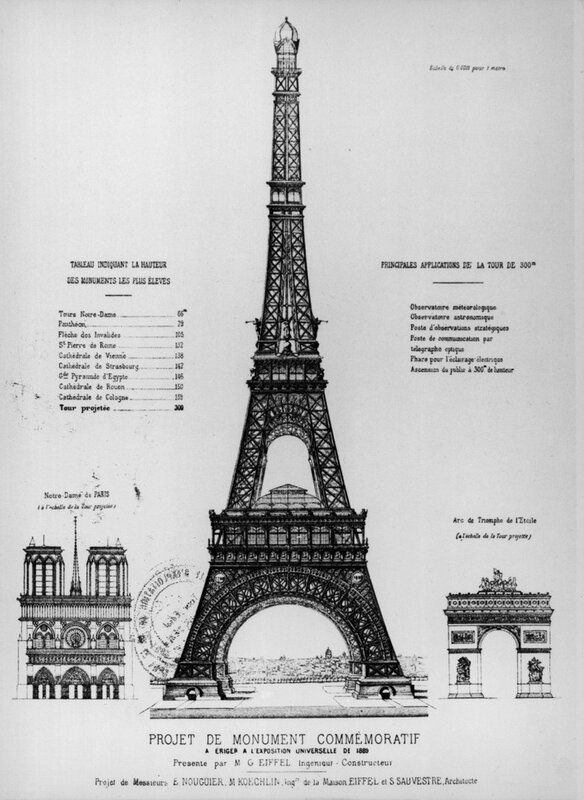 Nouguier worked together with Koechlin in 1884 to draw up the initial plans for the new tower and from that point on the whole story properly begins. Sauvestre of course came up with the final designs. 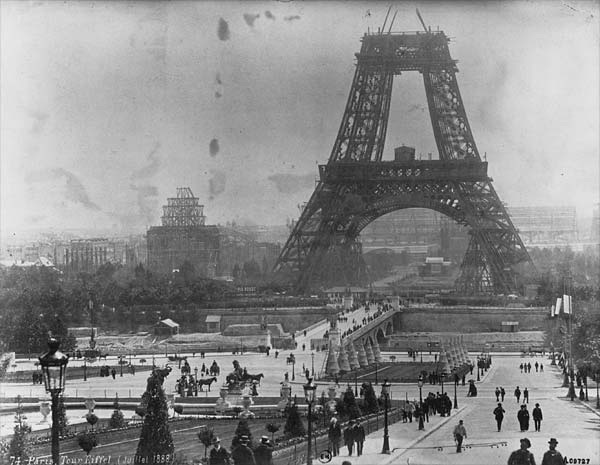 At the time the tower was being built, many Parisians were against it. There were protests and petitions were initiated in any and every attempt to stop the tower’s construction. 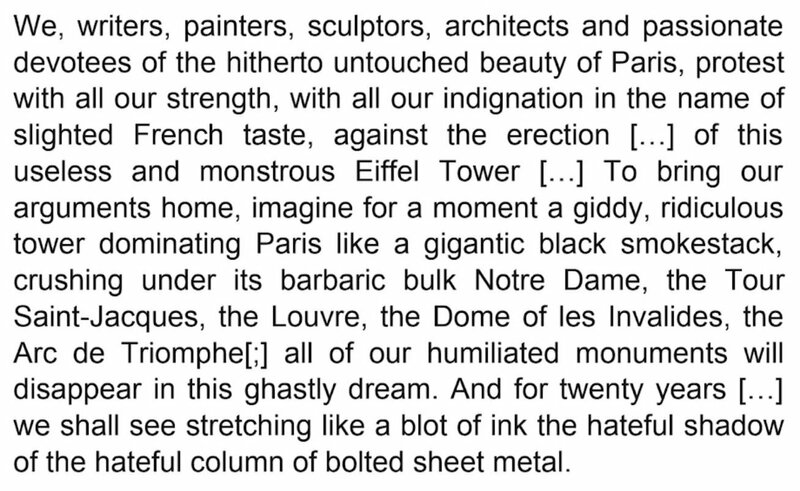 Even famous artists and celebrities were totally opposed to the idea of a 300 metre tall tower dwarfing the French city. For my part I believe that the Tower will possess its own beauty. Are we to believe that because one is an engineer, one is not preoccupied by beauty in one’s constructions, or that one does not seek to create elegance as well as solidity and durability? Is it not true that the very conditions which give strength also conform to the hidden rules of harmony? (…) Now to what phenomenon did I have to give primary concern in designing the Tower? It was wind resistance. Well then! I hold that the curvature of the monument’s four outer edges, which is as mathematical calculation dictated it should be (…) will give a great impression of strength and beauty, for it will reveal to the eyes of the observer the boldness of the design as a whole. Likewise the many empty spaces built into the very elements of construction will clearly display the constant concern not to submit any unnecessary surfaces to the violent action of hurricanes, which could threaten the stability of the edifice. Moreover there is an attraction in the colossal, and a singular delight to which ordinary theories of art are scarcely applicable. The second floor was finished on the 14th August 1888. The next stage to be completed would be that to the third floor, at over 900ft or 276 metres. This open air aspect of the very top of the tower was short lived. 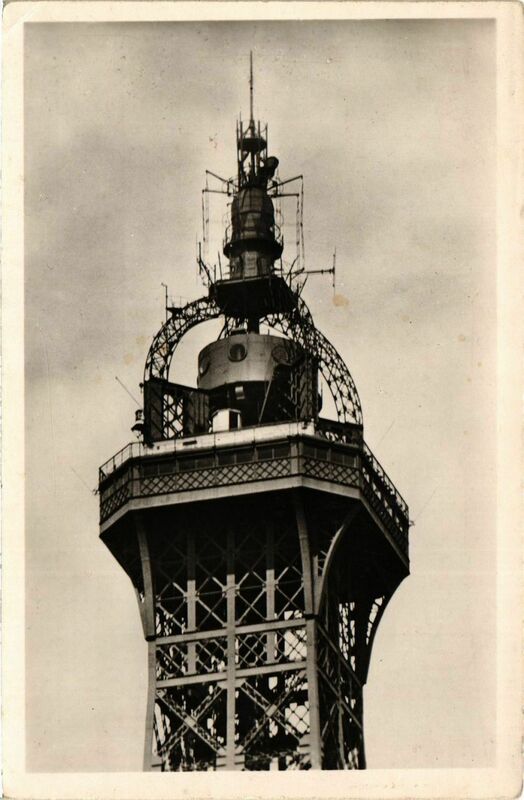 It was soon seen as space for things like transmitters, radio aerials and scientific equipment and since 1900 it has been an extremely important element of the tower’s daily functions which has since the fifties included TV transmissions too. 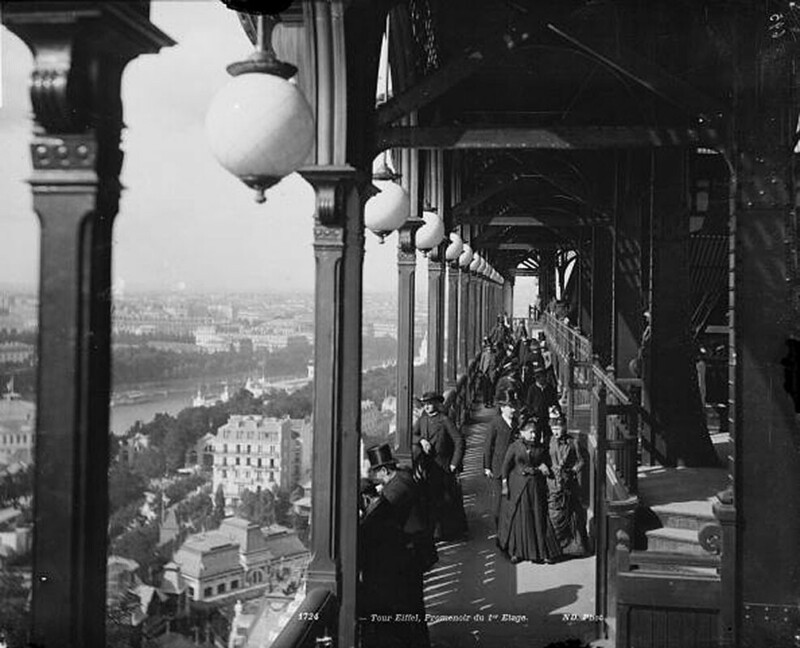 During 1900 Eiffel himself built an observation deck at the very spot these photographs were taken. It was known as his ‘secret room’ and pictures of this are shown later. I do not know how long the observation room lasted, probably until the 1950s when TV transmissions became the tower’s main public function. Here’s a nicer picture of that momentous event (its from an old book on the tower in my collection) showing the unfurling of what was in fact a very large Republique Francais flag. 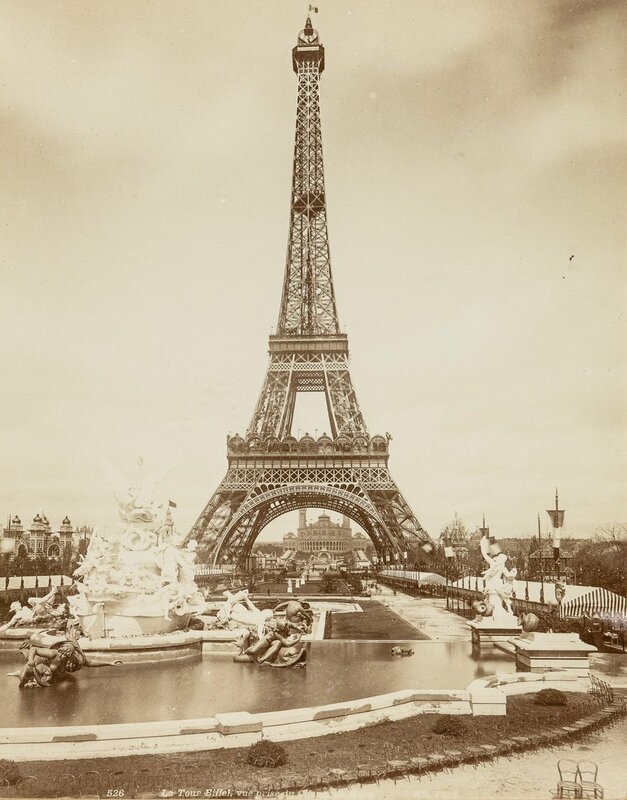 Although the Tower was part of the Exposition, it wasn’t quite ready and thus couldn’t actually be used until 6th May 1889, when it was first opened to the public. A number of special medallions were made…. Although it is often said people were allowed to climb the tower from May 6th onward despite the lifts not working, a report from the New York Times (see quote below) suggests otherwise and shows quite possibly that ascent on foot was allowed to the first stage only but no further. I can quite believe this as the stairs from the first stage upwards were not exactly suited to large crowds (see later in the post) whereas those on the ground to the first stage were. 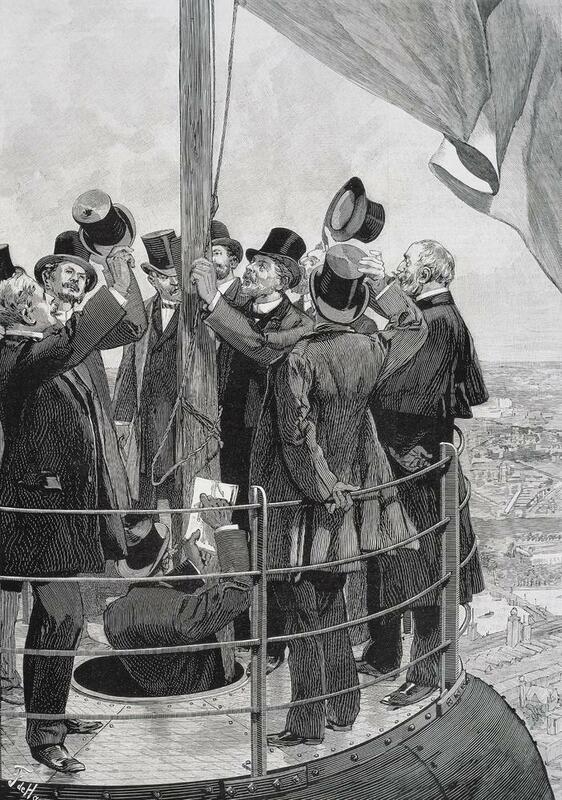 On the other hand it may well be that special guests or dignitaries in limited numbers were allowed to proceed to the very top under supervision and this had caused some confusion to exactly how much of the tower was actually opened to the public on 6th May 1889. The Eiffel Tower itself is at first sight something of a disappointment. The design has been so long familiar ot every eye, by means of drawings, models and photographs, that the element of surprise is wholly lacking, and it takes time and a kind of process of reasoning and analogies to lay hold of its genuine magnitude. I day say that people who ascend it, even to the first platform, have no difficulty in realising how huge the thing truly is, but the lifts are not working yet, and since the opening day no one is permitted to undertake the ascent by foot. Source: New York Times 9 June 1889. The lifts opened a couple of weeks later. What did they look like? 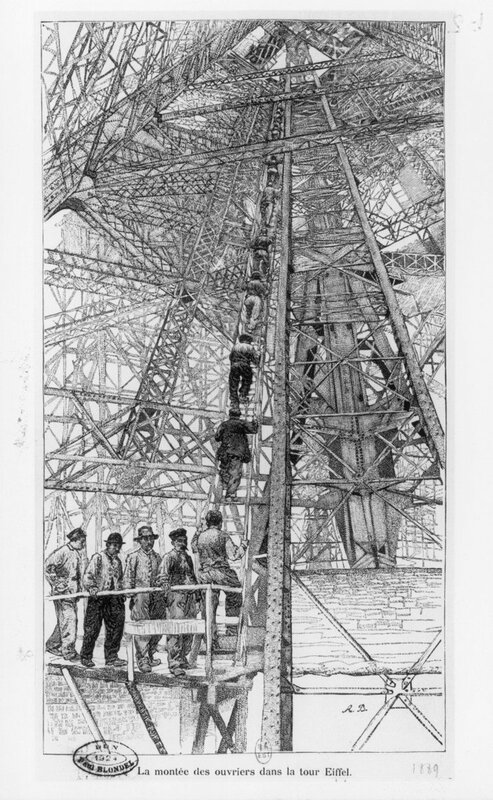 I think the scene above may depict the day in question, this was 29th May 1889, where it was ordered the lift be raised to a certain level using ropes and then these cut to see how the equipment dealt with a catastrophic failure. 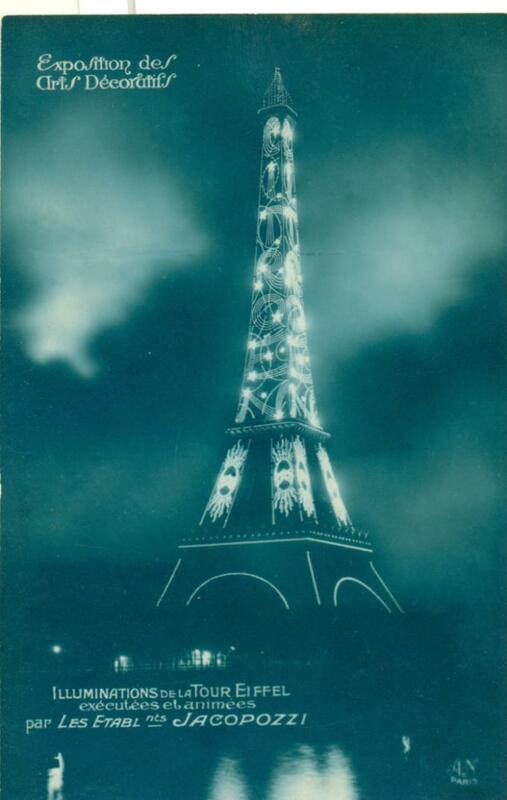 Otis elevators chose this dramatic experiment to assure the French public their lifts were absolutely safe. 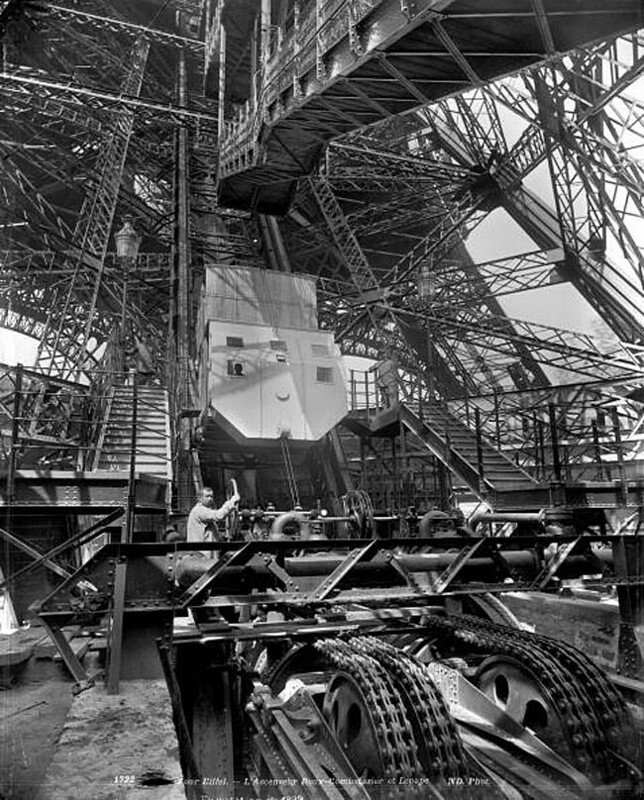 The lift, which consists of two compartments, one above the other, weights 11,000 kilogrammes, and loaded with 300 kilogrammes of lead – that is to say, weighing 14,000 kilogrammes – was raised to a considerable height. There it was fastened with ordinary ropes, and this done , it was detached from the cables of steel wire with which it is worked. What was to be done was to cut the rope and allow the lift to fall, so as to ascertain whether, if the steel cables were to give way, the brakes would work properly and support the lift. There were 25 or 30 persons present. After waiting two hours we were told that the experiment was going to be made. Then turning to the carpenters, Mr Brown said, “One, two three.” A blow cut the rope. The enormous machine began to fall. 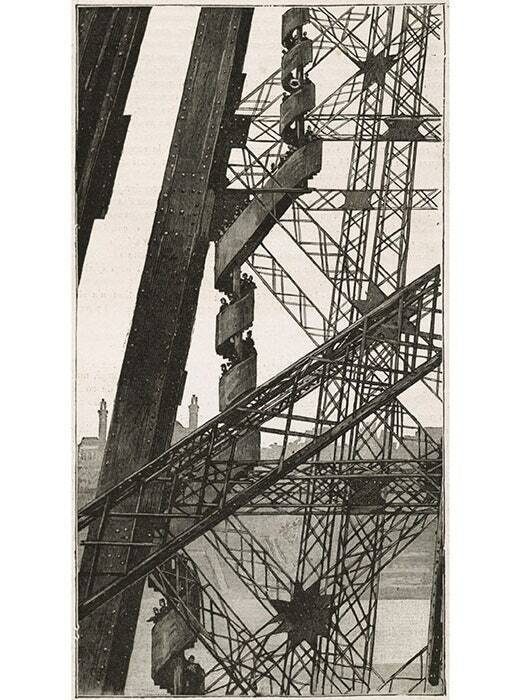 Everyone was startled, but in its downward course the lift began to move more slowly. It swayed for a moment from left to right, stuck on the brake, and stopped. There was general cheering. Not a pane of glass in the lift had been broken or cracked. A powerful arm seemed to have caught the lift in its descent, and to have stopped it, without a shock, at a height of ten metres above the ground. Source: The Scotsman 31 May 1889. It has been said the lifts opened on the 26th May, however I think this may have been for the French built Roux lift which only went as far as the first stage. 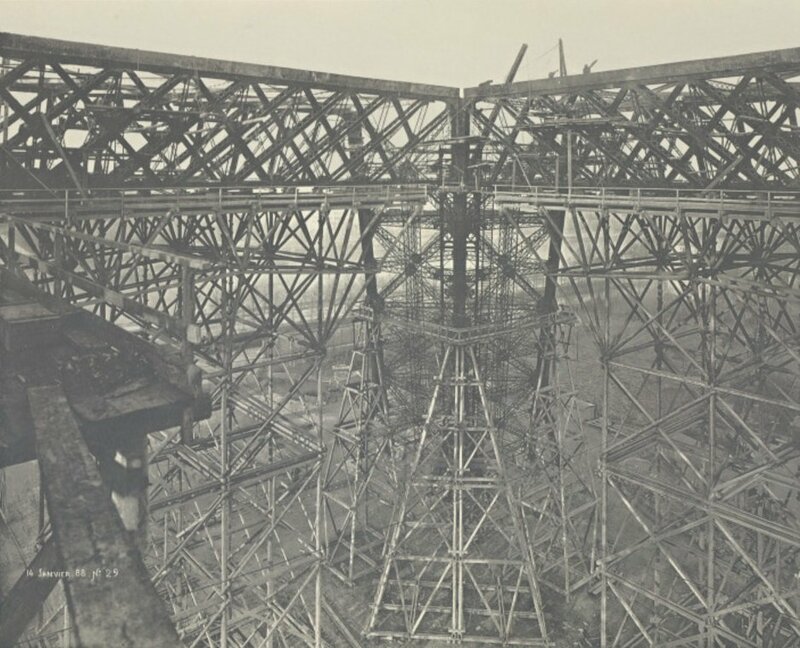 The experiment on the 29th May showed the Otis elevators (for reaching both the first and second stages of the tower) had not been put into public service, so its possible they entered service just after that experiment had been conducted. On the present Pilier Du Nord lift one can see the effigy of a guy on the lower part of the lift. Yes this was really the case I remember in the sixties these guys were there and they were responsible for the operation of the lifts. It was quite strange but also fascinating to watch and I suppose for most of us when we were small kids in those days, we often went to Paris, it was something quite curious actually but nevertheless made the visit to the tower even more enjoyable. But to recap, why did they have a man in the lifts’ nether regions operating what looked like a steering wheel? It was actually a means of ensuring the elevator’s cars stayed upright at all times as the lifts changed from an angle of 54 degrees to a final angle of 80 degrees which is almost vertical by the way. In fact the lower section is exactly straight as a ruler however the upper section, despite being at an obvious angle to the lower section and seemingly straight too, in fact becomes steeper the further up it goes. The lift operator used to be adjacent to the passenger cabins, however they were soon removed as they interfered with the flow of passengers and placed upon a specially built platform on the lower part of the lifts. Thus the effigy is simply a means of showing how the lifts used to be operated. Nowdays the elevators themselves automatically compensate the differences in angle and keep the passengers on an even keel and the lift operators remain inside the cabins at all times and its all push button technology now. The lifts original mechanisms remain in place and are still used. There is modern electronics and other equipment used to power and maintain the hydraulics, however the system as it was originally built in the Pillar Ouest remains. This is the Fives-Lille system from 1900, built to replace the Roux. It was renovated and refurbished in 2015, the requirements being the historic mechanism must be retained and operable. The company that did the job said it was honoured to do this work. 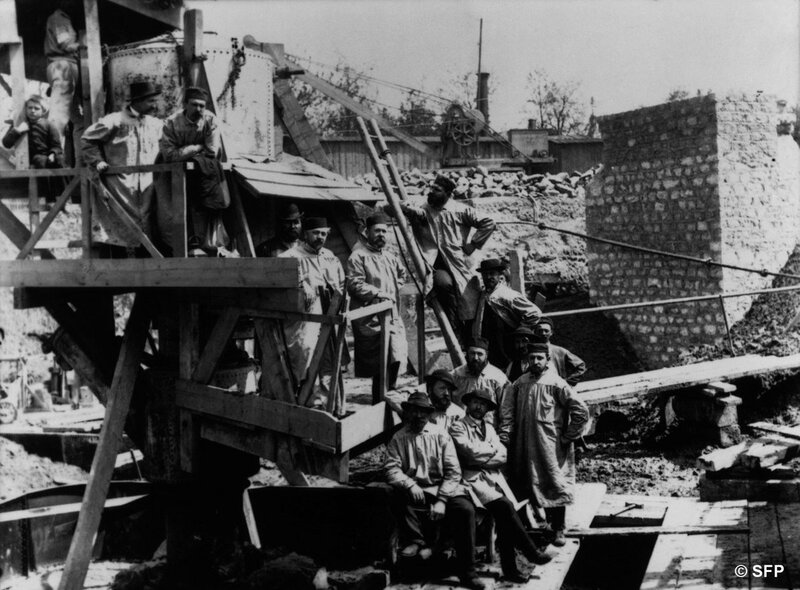 Its engineers said some of the hydraulics posed a bit of a mystery as to how it all worked, but nevertheless it did. If one wants to see how the mechanism works then I can do no less than recommend this You Tube video of the Fives-Lille elevator mechanism, built in 1900. 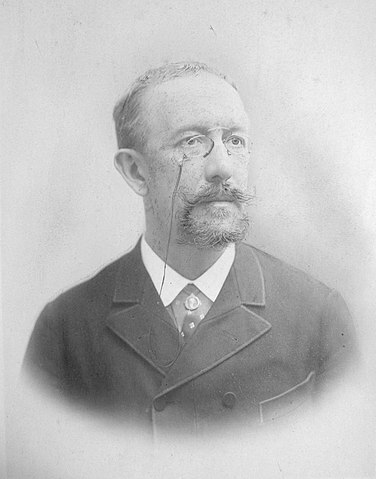 Engineer Fernand Jacopozzi was hired to create the advert. This is why his name is featured on the picture above. 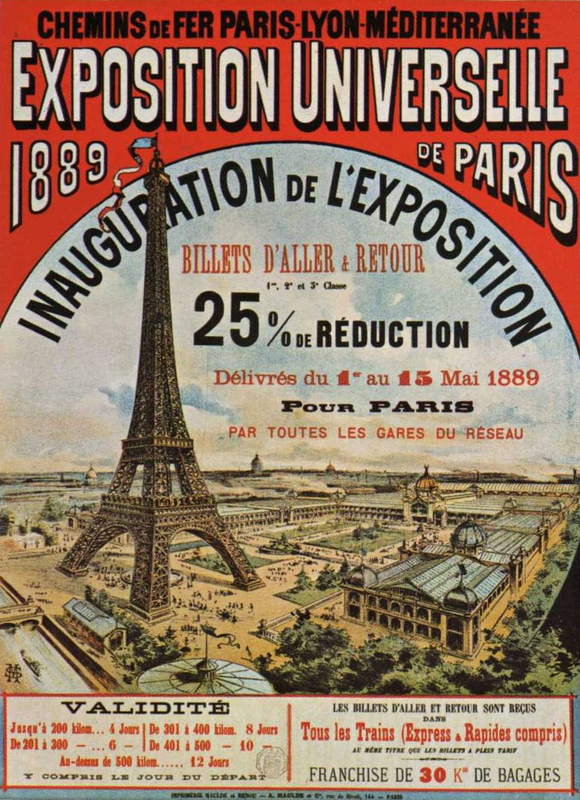 Not only that the picture also commorets the International Exhibition of Decorative Arts, and the Citroen advert was specially created for this exhibition. The Citroen advert first began on 30th July 1925 and it was in daily use until 1936. 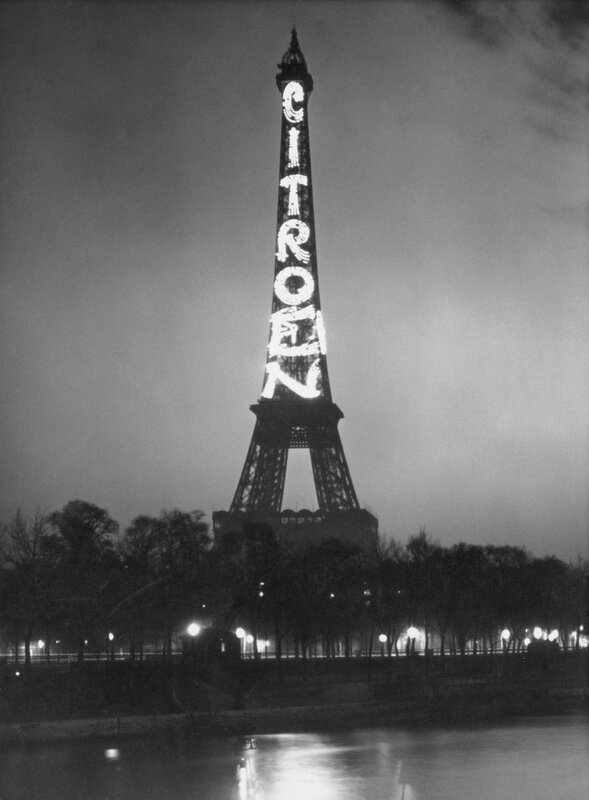 It wasn’t exactly the same each year, the lettering varied a little and other embellishments were added to make the spectacular display more ornate, and Citroen funded this advert for just over a decade. Of course the tower continues to give spectacular displays of light and many events and countries are commemorated, even the Welsh, whose country was lit up in its colours of green, and white along with pictures of the Welsh dragon, for the football team’s historic win in the Euro cup 2016. What did the top of the tower (the summit) look like in the very early days? And how did it change over the years? This section shows a series of pictures that shows its development from the 1900s to the present time. There is one important marker in this and that is the picture that was shown previously of the French tricolor flag being flown from the top of the tower in 1944. If one looks closely at it, the general form of the summit section is more or less as it has been during the changes made in 1900. Yes there were aircraft lights and aerials but these were quite insignificant at the time in terms of size. 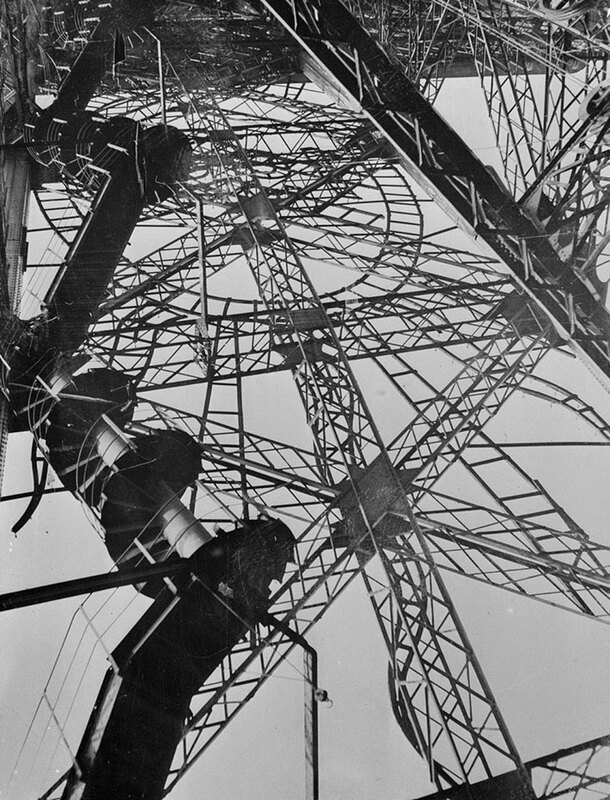 Now that the war had ended, and television was about to become a big thing in the fifties, that would be the point where the whole top of the tower really changed beyond recognition. To start with here’s a view of the open air deck in the 1890s and it has a little railway too! 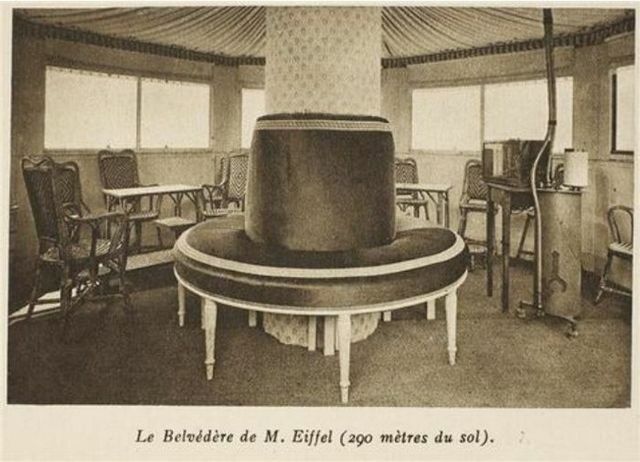 The top deck at the tower’s summit. The door on the left leads into Eiffel’s personal room (or belvedere in French.) 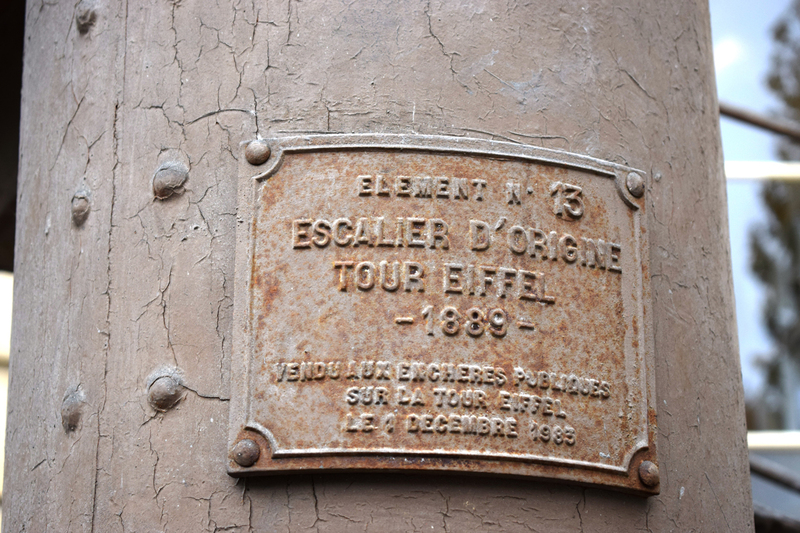 And yes it seems Eiffel was a railway enthusiast too he had his own narrow gauge railway at the top of the tower – or so it seems… The source was from Blogspot (The source blog is no longer extant however the picture is still viewable on Google’s servers) and I found the picture via Les Forums de Passions Metrique. Now one can see why there’s a railway track at the top of the tower! This was for the huge Mangin projectors, which were intended for ships but adapted for use on the tower. Of course the tower’s summit is considerably changed these days as the following pictures show. The tower’s total height these days is 1063 feet or 324 metres. That’s an extra 24 metres on its original height. The above image can be found on Google Streets yet its a suprise the tower allows people to take selfie sticks (or even long poles as in this case) and shove it through the gaps in the protective wire mesh. Some of the results are pretty fantastic (such as the picture below) but it surprises me this is allowed, seeing these selife sticks (or poles) with a camera attached to the end of it, could make an extremely lethal missile should it slip and fall. Nowadays its more difficult to make any changes to the tower’s appearance itself because it is a national monument of great importance and the stress is upon maintaining the historical fabric as far as is possible. 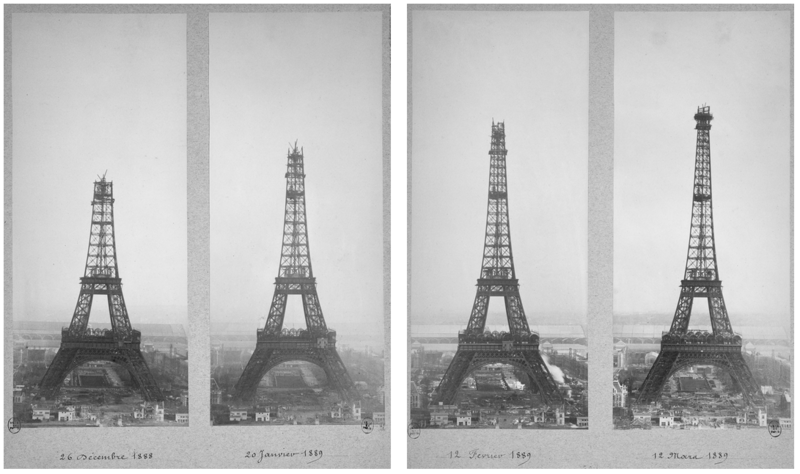 There was an auction of ‘Eiffel Tower stairs’ recently with many claiming it came from the topmost bit, whilst others more correctly suggested it came from the bit between the second and third stages of the tower when the old Edoux lifts were removed and new ones installed. The stairs had to be removed (and rebuilt to more modern standards in a different position because they were in the way of the new lifts. There are still spiral stairs extant in the tower especially on the second stage but these are somewhat wider than the others and more suited to larger flows of footfall because these connect the lower and upper decks of the second stage. What did the old stairs look like? 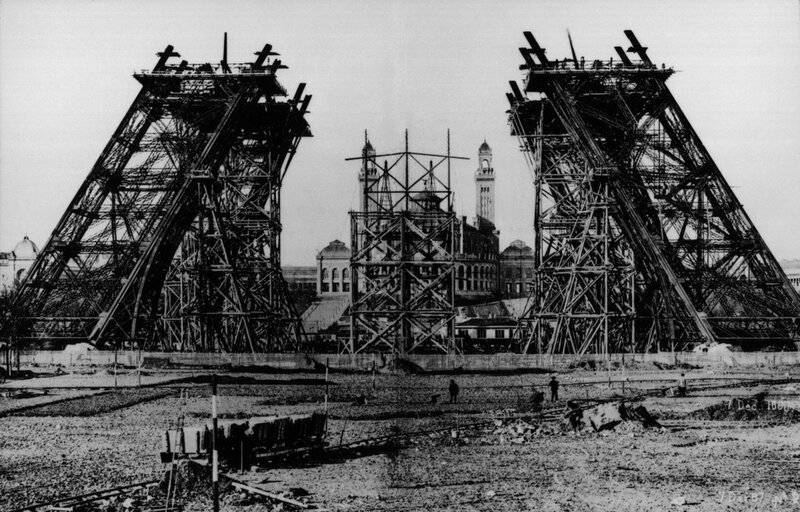 There are very few images that show the original appearance of the stairs up the tower. However there’s this picture which at least shows something substantial of these stairs. The stairs from the ground to the first stage remain largely as they were originally designed, however those from the first to the second stage were rebuilt to suit the design of those on the lower section. Those from the second to the third stage (the summit) were by large the most defying in all of the tower. 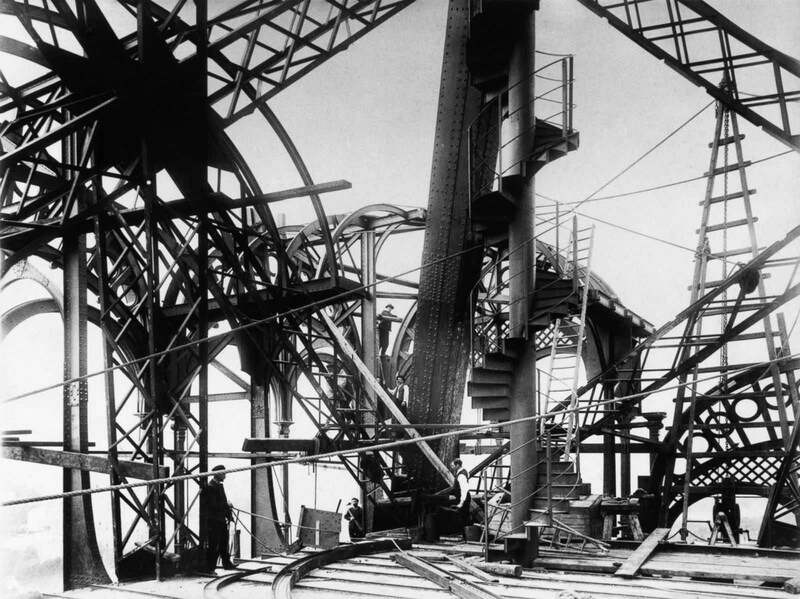 It consisted of two complete sets of spiral staircases, each 79 m long (or 262 feet.) The reason for having two sections was because each section had to share the tower’s space with the Edoux lifts (which I have written about at length before.) Since the Edoux lifts met at a point halfway 203 metres (or 668) feet above the ground, the two spiral staircases too met at this point. These long spiral staircases were the only means of foot access to the summit. In 1983 they were replaced (along with the slow Edoux lifts) by a more modern flight of stairs in the style of those lower down. 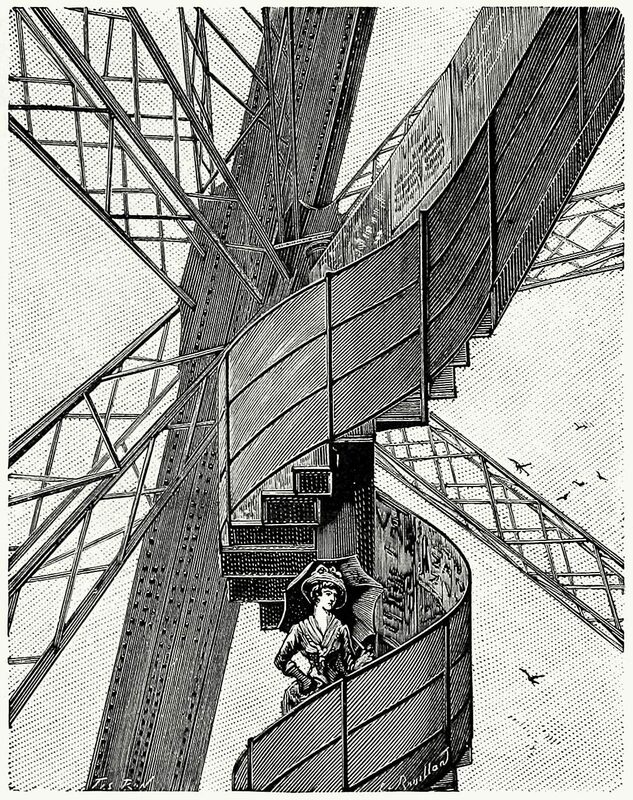 This is where the many examples of spiral staircase from the tower originated. These were cut into sections and sold in quite a number of lots, which is why they pop up fairly frequently at auction or antique sales. There’s a nice history of the tower (in French only) at the Internet Archive. In 2015 Google created a nice doodle for the tower’s anniversary! See You Tube. I previously wrote about the tower’s lifts a couple of years back and the post can be seen here.